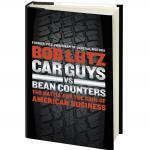 Bob Lutz released a book in 2011 called Car Guys vs. Bean Counters: The Battle For the Soul of American Business. The premise of the book is that when GM was run by car guys, the company thrived. When “bean counters” – statisticians and analytical types – took over GM, the business lost its focus on product excellence and faltered. Lutz asserts that putting leadership in the hands of the product experts and visionaries to drive success can translate to any industry. At Golden Triangle Auto Care, we are car guys and gals. We believe that the success of our business is tied directly to providing the best possible product. For us, that’s quality repair work and excellent service provided to our customers. When you bring your vehicle into us with a problem, it is our time to thrive. All of our training, experience, and talent goes into finding the problem, correcting it, and making sure you receive excellent customer service while you’re here. And these aren’t simply idle words. We believe in the quality of what we do. That’s why we offer a premium warranty – 3 years/36,000 miles parts and labor. You’ll be hard pressed to find a better warranty from a car care company. 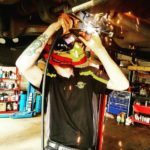 On staff, we have an ASE certified master technician and our shop foreman gets involved to supervise the quality of our work – and often has tools in his hands himself. Statistics have their place. If we didn’t measure our performance, how would we know if we were truly succeeding in taking good care of our customers and their vehicles? We appreciate the “bean counters” of our business because they play a big part in our success. But it’s through our commitment to providing you with the best possible car care service that we will truly meet our potential as an organization. Come on by the shop … there’s not much we like better than a good round of Shop Talk with our customers.